You know it's a good day when you receive a Influenster voxbox in the mail but to say that I was surprised to receive another YSL voxbox is an understatement. What are the chances!? This time around it's not one but two lipsticks from their new Rouge Pur Couture collection. Best mail day ever. Feel free to sign up at Influenster and connect your Facebook account so you can get free products like this yourself, no need to be a blogger! As always, I fell in love with the beautiful packaging and couldn't wait to see what shades they were. 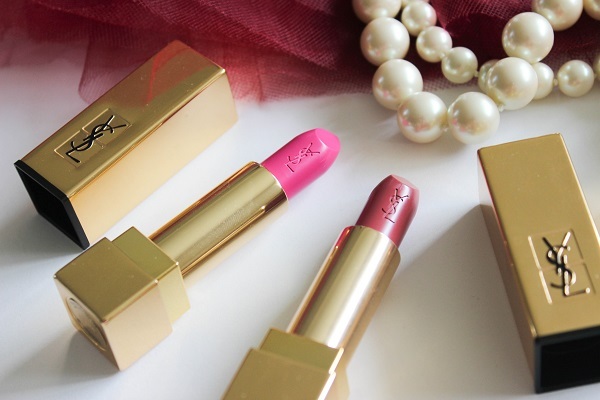 The two shades are called Fuchsia and Rose Stiletto and what's different about this collection is that the lipsticks have the YSL logo carved into the actual lipstick. I love little details like that, it just makes it look so much more luxurious. First up is Fuchsia which is a cool-toned bright pink that has a semi-matte finish. 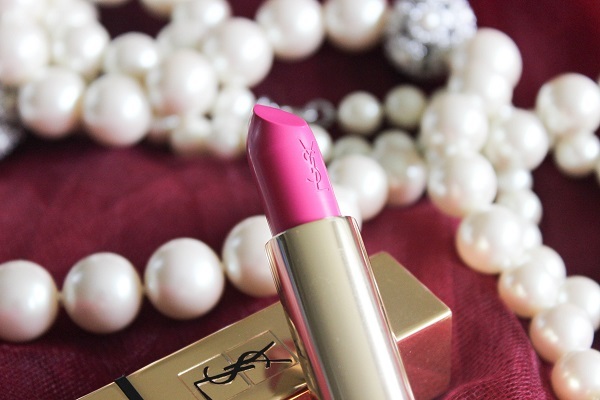 It's the kind of lipstick that you put on when you're feeling sad and want to cheer up. 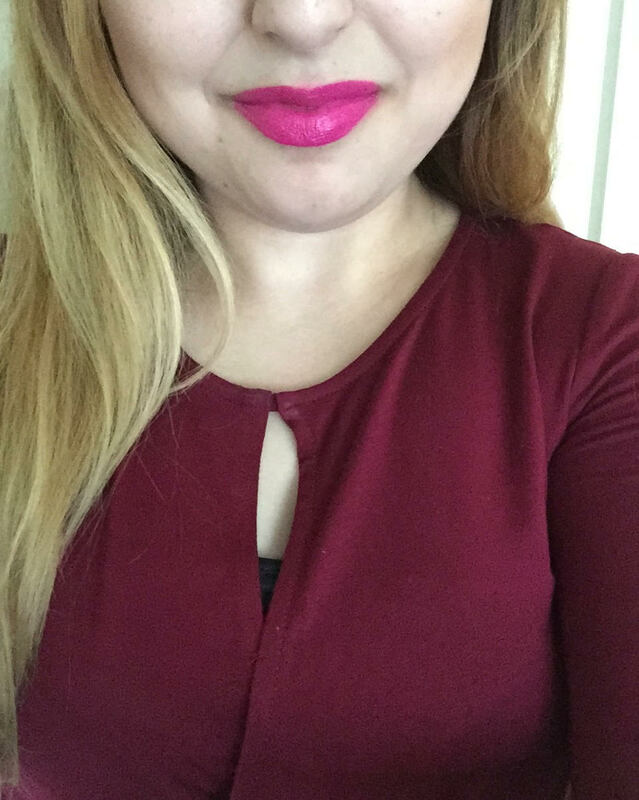 Personally, I've never worn such a bright pink before, I prefer more muted, neutral colors but I gave it a try and...didn't really like the shade on me haha. Maybe I'm just not used to such a bright color but I didn't think it was flattering on my skin tone which is pale and has yellow undertones. Plus it didn't help that I was wearing a maroon shirt which totally clashes! While Rose Stiletto on the other hand was love at first sight. Now that's my kind of lipstick! 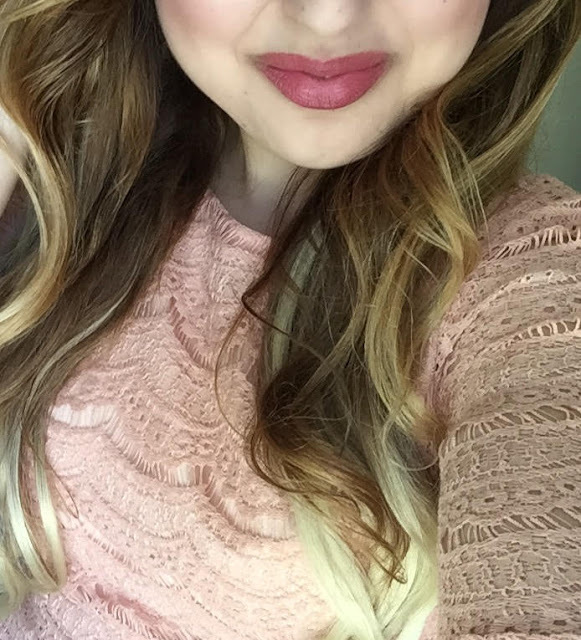 I always gravitate towards anything rose, neutral and matte. Although this is darker than most rose shade lipsticks I own, I think it's perfect for fall and actually wore it to a shoot which I'll be posting on the blog later this week. And yes I'm wearing extensions in this photo which I'll also be talking about later haha. What I noticed about both lipsticks is how creamy they are and how smoothly it goes on your lips! They also aren't drying and don't fade away as quickly as most lipsticks do. The best part is that they're super pigmented and a little goes a long way. No need to re-apply! YSL does it again. 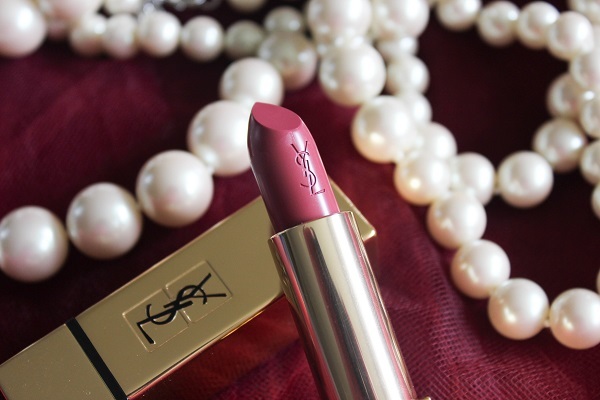 Have you tried YSL lipsticks before? What do you think about the brand? Let me know!